This week’s show features one of Conor and Luke’s favourite films, Face/Off, it’s great, it’s got John Travolta and Nicolas Cage and it’s directed by John Woo, John Woo! 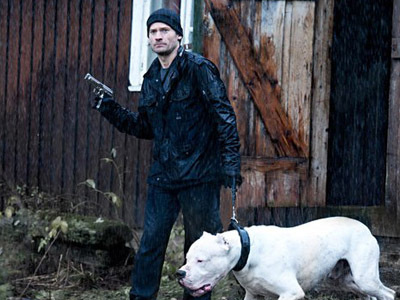 We also kick off our Scandinavian Season with Headhunters, a twisted tale of burglary and short-man syndrome. Table Time includes a plug for Chuckie Dregs, the new video game magazine show by Ryan Macleod of Consolevania and Video Gaiden fame. Conor gets tricked into watching another love triangle with Snow White and the Huntsman. NOTE: The audio quality at the beginning of the second segment is a little spotty but evens out at about two minutes in. Join Conor and Luke as they praise the true King of Rock and Roll, Nicolas Cage in his new action/drama film Seeking Justice. The Horror Season continues with Wes Craven’s A Nightmare on Elm Street. All this and more this week. Choo choo!